Ron joined the SWYFS Board in 2015 and has been involved in the White Center, Delridge and West Seattle neighborhoods most of his life. In 2011, Ron retired from the City of Seattle’s Department of Neighborhoods after serving for over 32 years assisting residents, neighborhood groups, business organizations, and human and health services providers, access city services and programs to help develop and build healthy, safe, and active neighborhoods and communities. 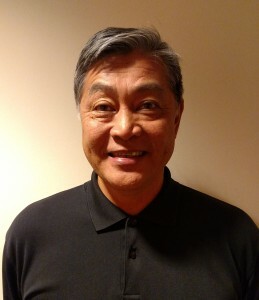 He is a founding board member of the DNDA, a former board member at Neighborhood House and former president of the Filipino American Civic Employees Association of Seattle. Ron began his public service career in 1973 as a Vista Volunteer in Ohio, working at a free neighborhood health clinic. After he returned to Seattle, Ron supervised health and human service programs at the South King Multi-Service Center in Federal Way. Ron has a degree in community health education from CWSU and community planning degree from UW. Ron also coached student-athletes at Chief Sealth and Evergreen High Schools. In his spare time, he enjoys playing his saxophone in a blues/rock band. Ron and his wife Ellen have two daughters, Siri and Antonia, and two grandchildren. Siri taught ESL as an Americorps volunteer at SWYFS. Public service runs deep in his family.